I obtained masters degree in Environmental Toxicology from Dr.A.L.M. Post Graduate Institute of Basic Medical Sciences (Madras University), Chennai and doctoral degreee (PhD) in Biochemistry from RTM Nagpur University Nagpur, India. I have been serving in CSIR-NEERI since September 1995, prior to this I was working as Scientist at CSIR-IITR, Lucknow from 1st January 1992 till August 1995 in the areas of biochemical and genetic toxicology of asbestos fibers and its alternates using In Vitro and In Vivo systems. The Division I represent at CSIR-NEERI deals on Occupational and Environmental Health (air & water pollution). My specializations include environmental and industrial toxicology, environmental monitoring, exposure assessment and health risk assessment including climatechange and health impacts, mitigation of GHG using microbial system vis a vis value addition in the forms of biofuel, pharmceutical and food products etc. As head of the department at Environmental Health Division, I am responsible for the management of all air pollution, climate change and health related research projects, sponsored research projects on mitigation/sequestration of CO2 vis a vis product delelopment, teaching programmes in AcSIR, consultancies as well as conduct state of art short term training programs in occupational safety & environmental health. About 25 years of research experience, so far been involved in over 35 research and consultancy projects in various capacities as principal investigator, co-principal investigator and co-investigator. My special interest is to carry out biomarkers based exposure assessment, developing new monitoring technologies for air pollution exposure assessment studies also study the impact of air pollution on climate change and health. I have served as an expert committee member to review Centre of advanced research on air pollution and health effects at SRU, Chennai an ICMR, new Delhi sponsored research project, as a committee member on climatechange and health at Ministry of Health and Family Welfare, New Delhi. 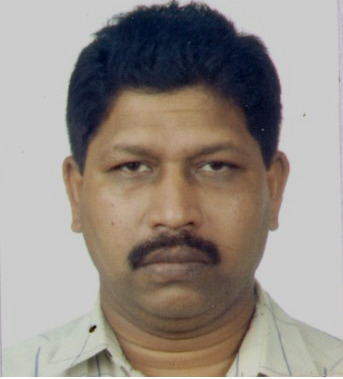 I served as member of Board of Studies in Biotechnology at RTMNU, Nagpur, Medical committee member at CSIR-NEERI, Nagpur, I have organized about seven National and International conferences in the capacities of member, co-organizing secretary and Organizing Secretary. I am an Editorial Board member for about five International Journals, reviewer for about 15 National and international journals. I have published about 70 publications in various National and International journals, presented papers in about 120 National and International conferences, I have three international patents to my credit. My future plans are to continue my engagement in occupational and environmental health and climatechange mitigation research that are likely to bring changes in policy that have an impact in reducing health burden of our country. Environmental and Industrial toxicology, Environmental Monitoring, Exposure Assessment and Health risk assessment including Climate Change and Health impacts, Mitigation of GHG using microbial system vis a vis value addition in the forms of biofuel, Pharmceutical and Food products. 7. Chhangani, J.A, Tiwari, S.G, Rai, M.M, A.Bafana, Krishnamurthi, K. Development of cow urine based polyherbal hair conditioner and evaluation of antidandruff activity IJIET 2015. 8. Tiwari, S.G, Chhangani, J.A, Padole S. K., A. Bafana, Krishnamurthi, K. Development, standardization and evaluation of antimicrobial activity of herbal tooth powder fortified with Cow Ghee. IJIET 2015.